I double date with Anita and her boyfriend pretty often with Sugarface. On one of our double dates, Anita’s boyfriend and I were engaged in some friendly trash talk. We were discussing flavors in a broth and fennel was brought up. 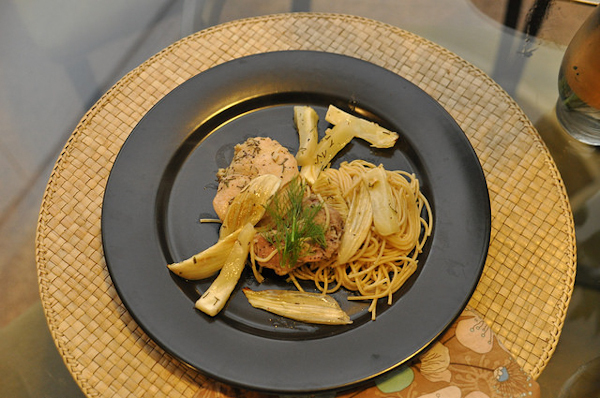 I bragged that I make this delicious fennel and chicken dish. Anita’s boyfriend counters by saying he makes an awesome salmon fennel dish. We both then laid claim that our respective dishes trumps the other’s. Our playful banter escalated to a Fennel Off. Our more humble significant others took the opportunity to try out fennel dishes to complement our main entrees. Sugarface made a delicious gin cocktail and appetizer and Anita made a fennel dessert. As we ate through the courses and found ourselves all enjoying each other’s contributions, our animosity died and we declared ourselves all winners. Details are now hazy but we might have all high-fived each other. Sugarface’s cocktail had fennel and orange and gin and was so refreshing. Everyone except me had second cocktails. If I could handle my alcohol, I would have done so too! 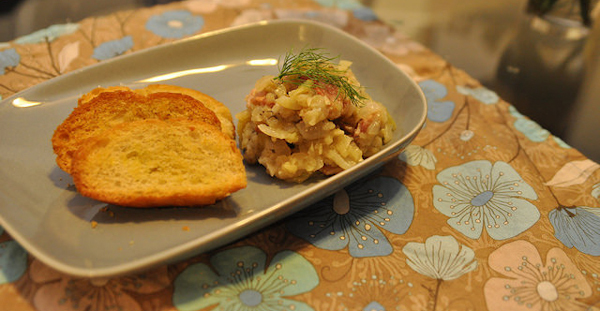 Sugarface also made an apple, bacon, fennel chutney that we nibbled on while the salmon roasted. He cut down the bacon from half a pound to just over a quarter pound. We thought it was perfect. The three flavors went well together! I love that Sugarface’s contributions were both so different. One could say, they were like apples and oranges! 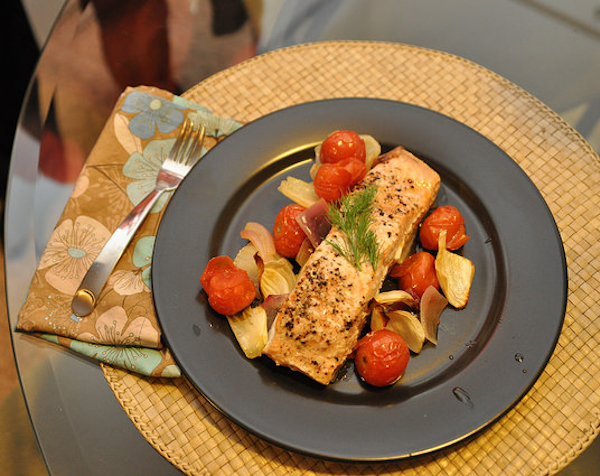 Anita’s boyfriend roasted salmon over fennel, onions, and cherry tomatoes. He is a health conscious person and likes staying away from starches and eating vegetables. After tasting this dish, I can see why he makes this pretty often. 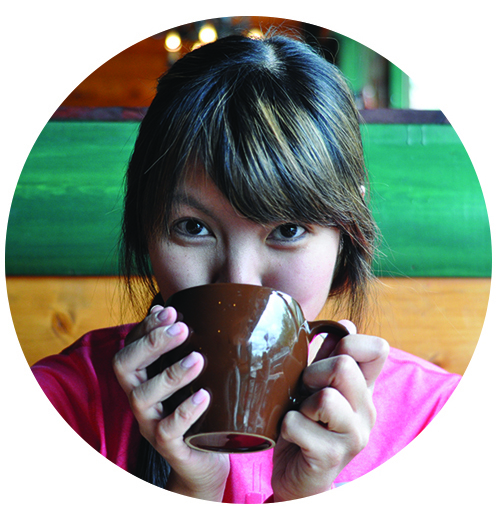 It’s tasty and you feel like a virtuous healthy person when you eat it. I don’t have a recipe link to share but it is a simple roast. I roasted chicken thighs with fennel and lemon. This is one of my go to recipes for quite some time now. The very first time I made this dish was the first time I cooked with fennel. I remember being wary of having a licorice flavored chicken, but roasting does wonders to fennel and when you roast it with lemon, white wine, and chicken fat? Delectable! It also takes no time to make and is a great work day dinner recipe. 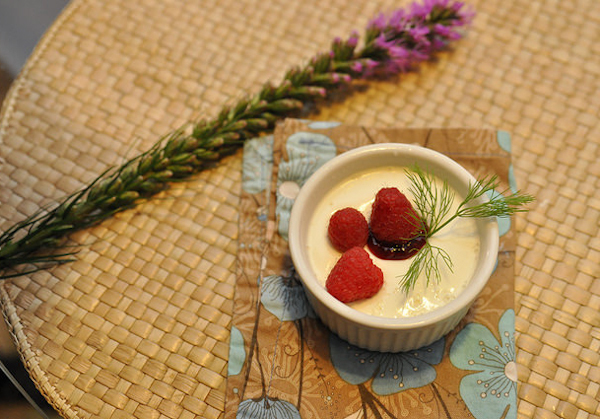 Finally, Anita made a fennel panna cotta. Remember when I told you how we called ourselves all winners? We did but then we tried Anita’s dessert and unanimously decided if there was going to be a winner for the night, it would be the panna cotta. Anita modified the recipe linked by serving it with raspberries instead of spiced pears. The fennel flavor really comes through in the panna cotta. It was a light texture with a distinct fennel flavor. I wanted to swim in it. I know how dorky it sounds to say we had a double date centered around fennel, but it was truly a highlight of my weekend! 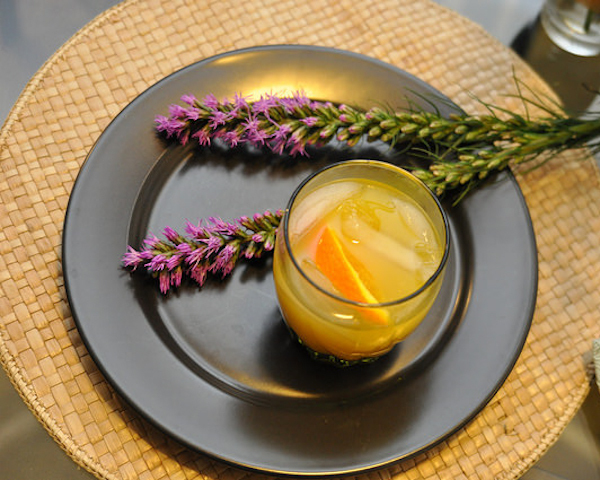 Question: Do you have any favorite fennel recipes? Please share!